Base Depth: " Runs Open: /85 Summit: 11000ft. New 24HR: " Lifts Open: Vertical: 3240ft. New 48HR: " Snowfall YTD: Base: 7760ft. Snowbird and Alta were named the No. 1 ski resort in North America in 2008 by Outisde Magazine, thanks to the high-speed chairlift that connects the two at Sugarloaf Pass, and offers access to over 4,700 skiable acres in both resorts. With staff dedicated to meeting your every need and rentals and events available to skiers and snowboarders, the Snowbird resort is bound to be the highlight of your season. Snowbird’s Cliff Lodge is among the finest resort hotels anywhere, and includes a world-class health spa, conference center, and hosts the world’s largest privately-held collection of oriental rugs. Its 11-story atrium offers spectacular views to visitors, and there are a total of 882 lodging rooms available between the Cliff Lodge and three other lodging properties. A numerous array of dining options complement the prestigious lodging, and four-season activities are offered for visitors all year round. Snowbird’s close proximity to a major metropolitan city and international airport make it’s superior facilities a sought-after vacation destination, and the resort takes great pride in presenting guests with a magnificent scenic area. The resort has been awarded numerous awards for it’s environmental stewardship–and besides taking great care of the land, the resort also offers five-star service to all it’s guests. 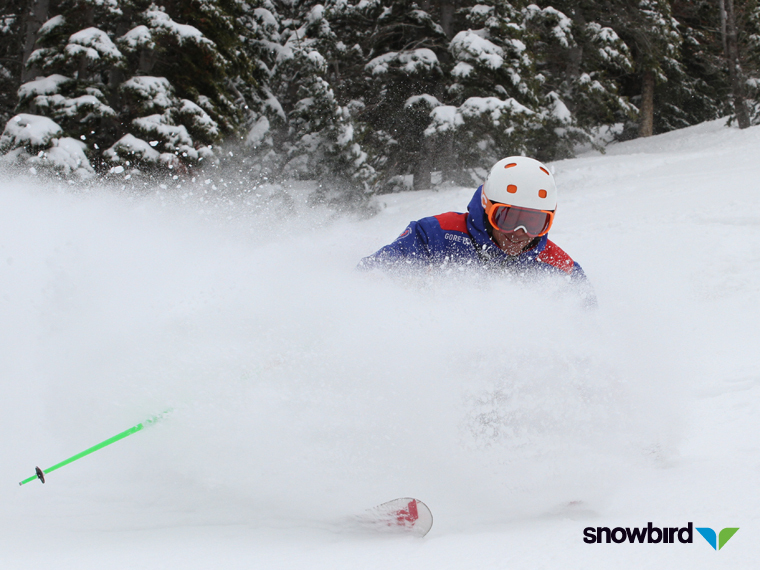 On a great powder day Snowbird is hands down the best terrain in the world. Love the Bird.